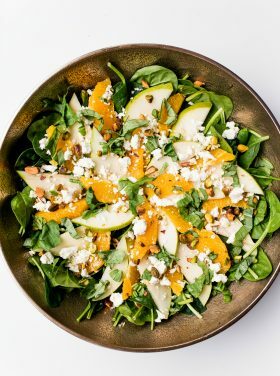 This post is sponsored by Pampered Chef to promote their new Classroom Kitchen program in partnership with Big Green! 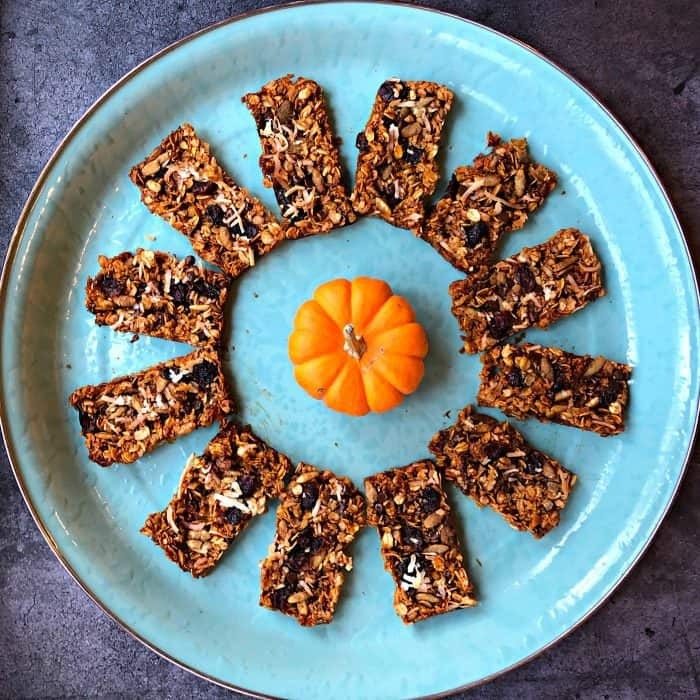 These crunchy, healthy Pampered Chef Baked Pumpkin Granola Bars are a great snack or dessert, easy for kids to make–perfect for the holidays! 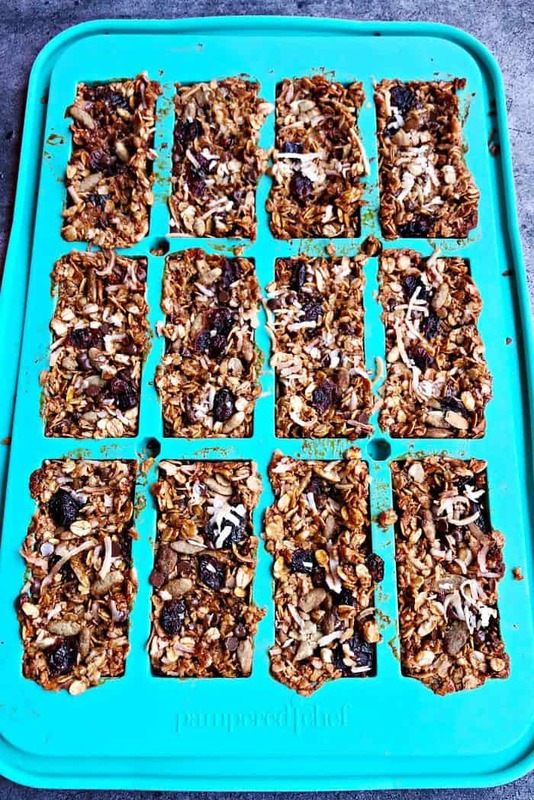 Friends, have you ever made your own granola bars? 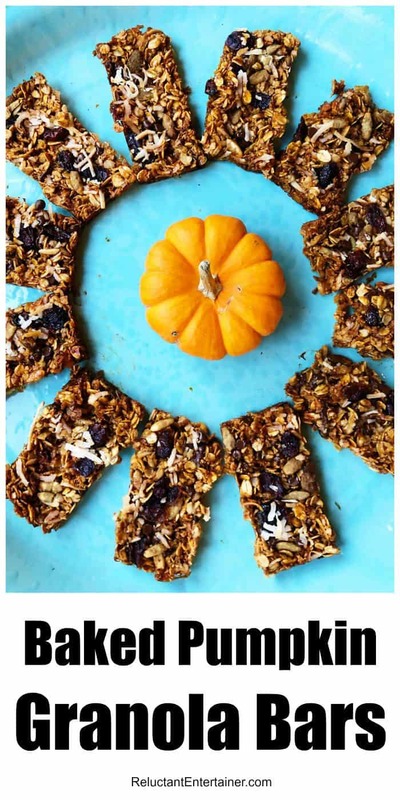 Even kids can make this easy Baked Pumpkin Granola Bars recipe that I’m sharing today. 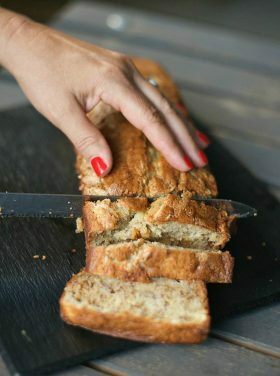 Homemade is so much better, which is why I’m also passionate about the Pampered Chef Classroom Kitchen program. I’ve always been about getting kids in the kitchen, and excited for cooking. We started teaching our kids the basics of measuring and stirring when they were young. But sadly, more than half of kids’ schools in the U.S. don’t offer any sort of cooking or home economics courses, so many kids never get to learn culinary skills, and how that relates to health and living a happy life. This fall, Pampered Chef has partnered with Big Green to roll out an exciting new Classroom Kitchen program to help put valuable cooking knowledge, skills and tools in the hands of young students across the United States. As a partner, I got to receive the same kit that classrooms and educators are receiving, but all of these products are available online or order through your local consultant. 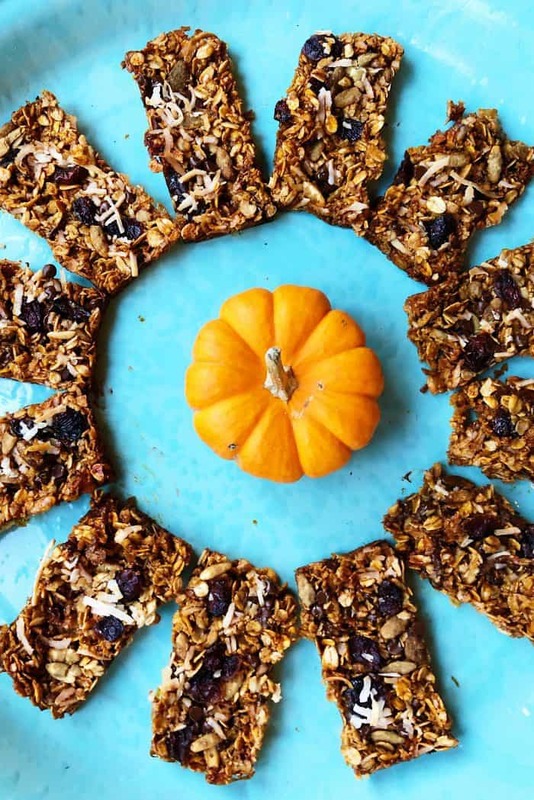 I used the kit they sent me to make these Baked Pumpkin Granola Bars. 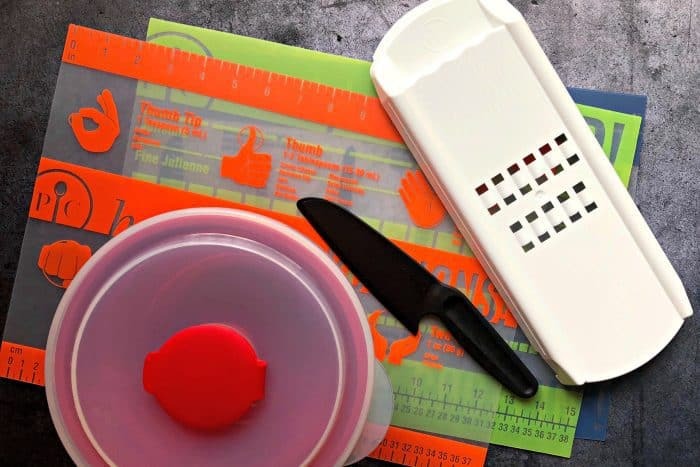 For the students: Kids’ Mixing Bowl, Measuring Cups, Measuring Spoon Set, Flexicble Cutting Mat Set, Veggie Strip Maker, my favorite Mix N’ Scraper, and a Nylon Knife. For the Teacher: Emoji Cookie Cutter Set, Microwave Popcorn Maker, and the Snack Bar Maker Set. 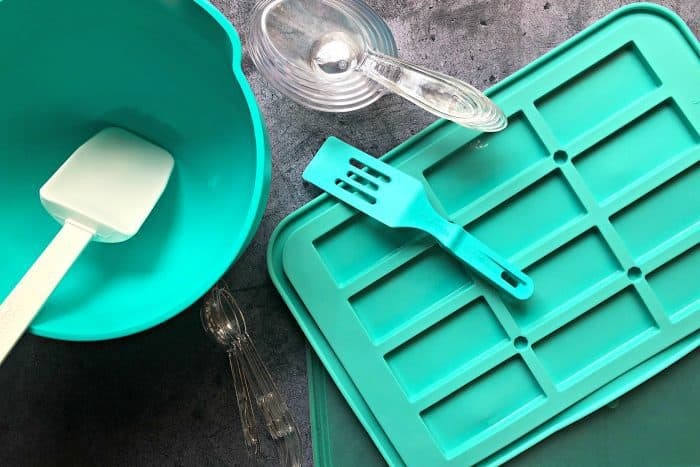 The Snack Bar Maker Set is fantastic, made of a silicone base, with a Mini Nylon Serving Spatula to press the ingredients down into the edges. 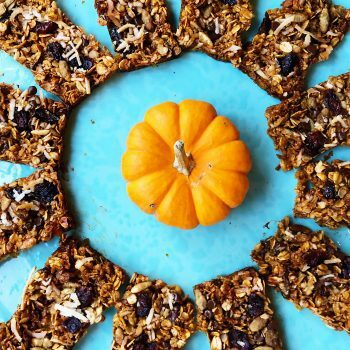 Perfect for fall snacks or treats or parties, kids can whip up these granola bars in no time. Oh, and how fun is it for kids to choose their own toppings? 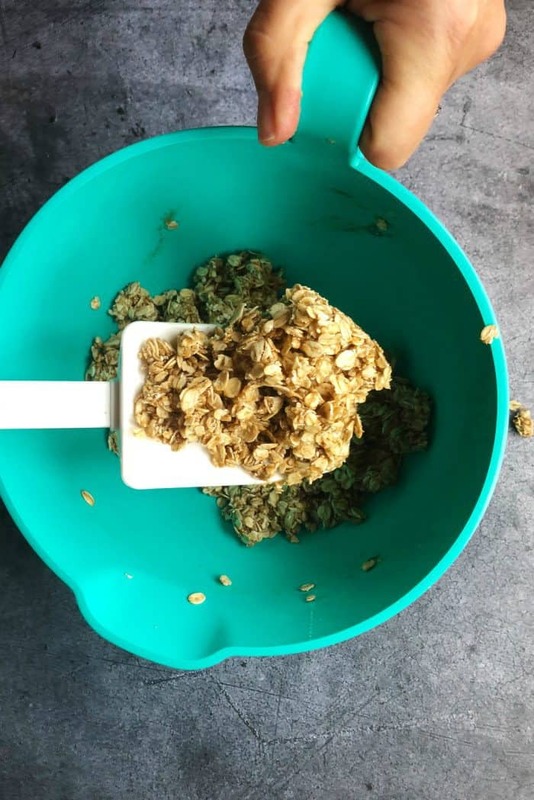 Prepare the granola mixture in the Kids’ Mixing Bowl, using the Measuring Cups and Measuring Spoons, stirring with the Mix N’ Scraper. 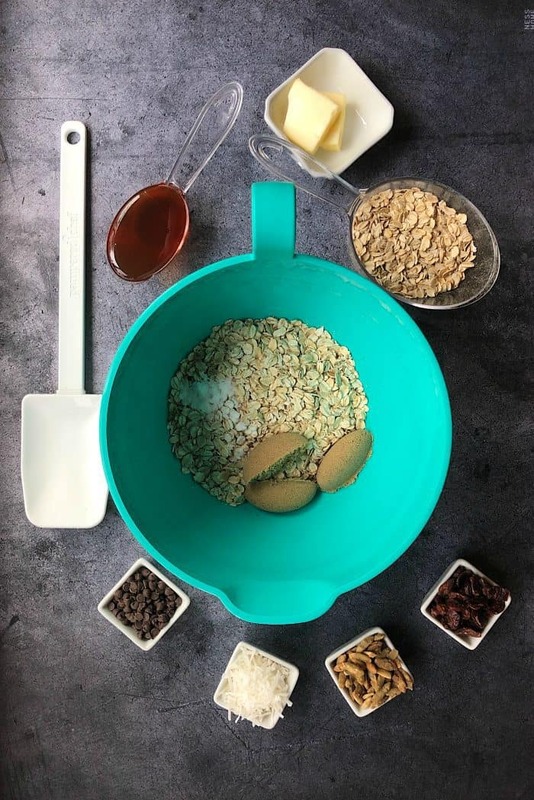 Drop the mixture into this nifty Pampered Chef Snack Bar Maker (I just love this product), and press the dough into the corners with the Mini Nylon Serving Spatula, making firm bars, ready for baking. MONEY FOR YOUR SCHOOL – 10–15% of fundraiser sales go to whatever your school, club, or scouting troop needs, from band instruments to science equipment to art supplies. COOKING EDUCATION FOR YOUR SCHOOL – Earn a Classroom Kitchen Kit that ranges in value from $150 to $900. 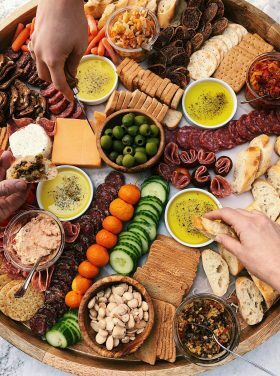 The tool sets included is determined by the size of your fundraiser party – the bigger the fundraiser, the more cooking tools you earn for your school! 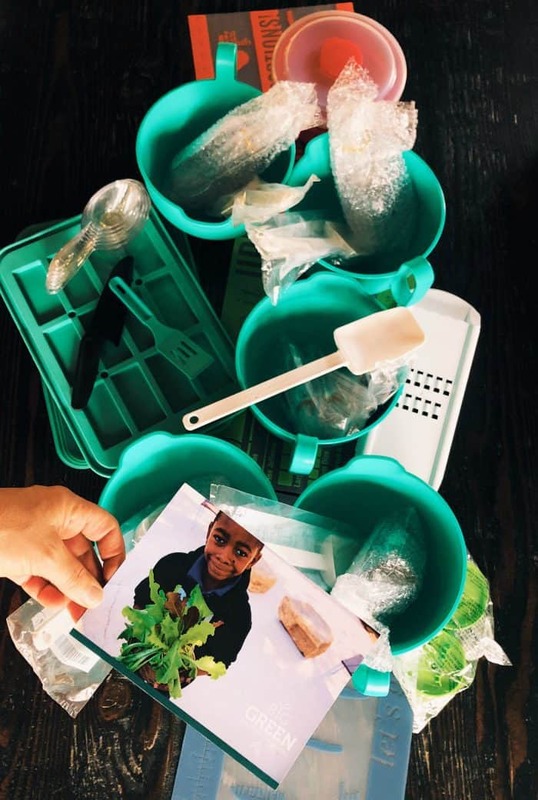 COOKING EDUCATION FOR SCHOOLS IN NEED – When your school receives a kit, Pampered Chef donates an additional cooking kit to Big Green, with supplies an underserved school urgently needs to bring healthy food-focused curriculum to life. 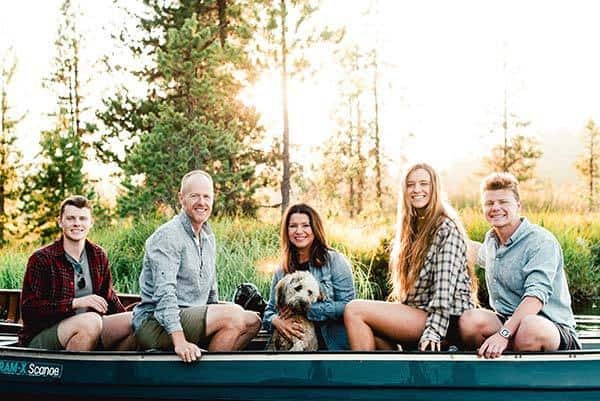 Be sure to follow them on Facebook and Instagram for more great recipes and ways to get kids involved in the kitchen! This post is sponsored by Pampered Chef, but as always, all opinions are my own. 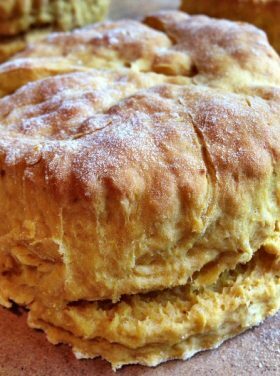 Combine oats and baking soda, honey, brown sugar, melted butter, and pumpkin pie spice. Scoop mixture into the wells of the Pampered Chef Snack Bar Maker. 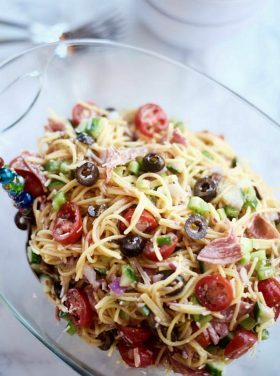 Sprinkle with mixed toppings (1 cup). Press down with the Mini Nylon Serving Spatula. 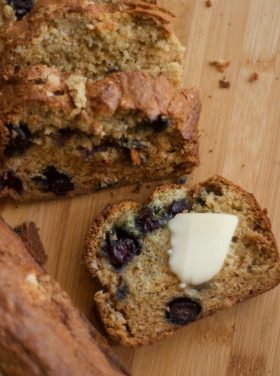 Bake for 10-12 minutes, or until the oats start to brown. 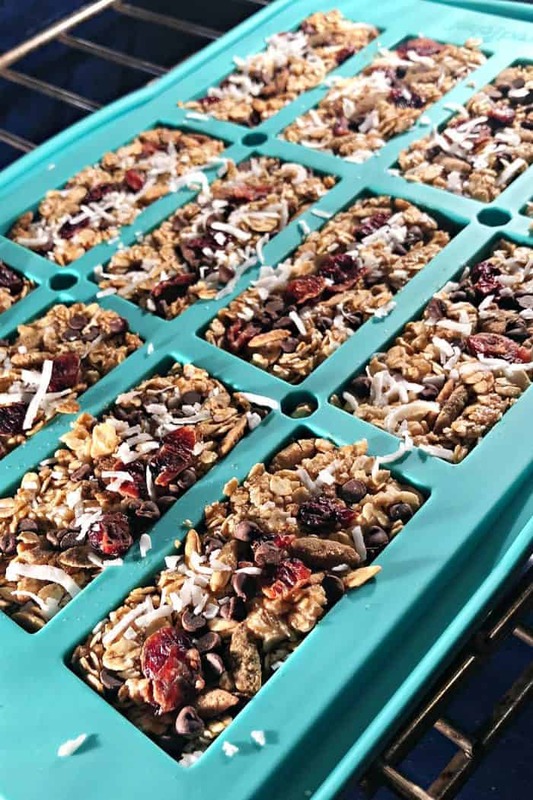 Remove the Snack Bar Maker from the oven to a cooling rack. Cool for 5 minutes. 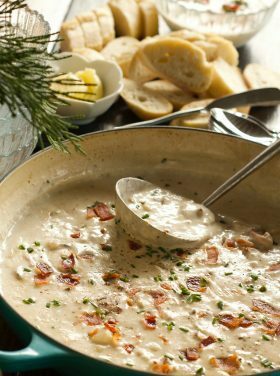 Cover with the lid, and chill in the freezer for 15 minutes, or in the refrigerator until set. What a cute idea!!! And I love your granola bars! That recipe sounds amazing! 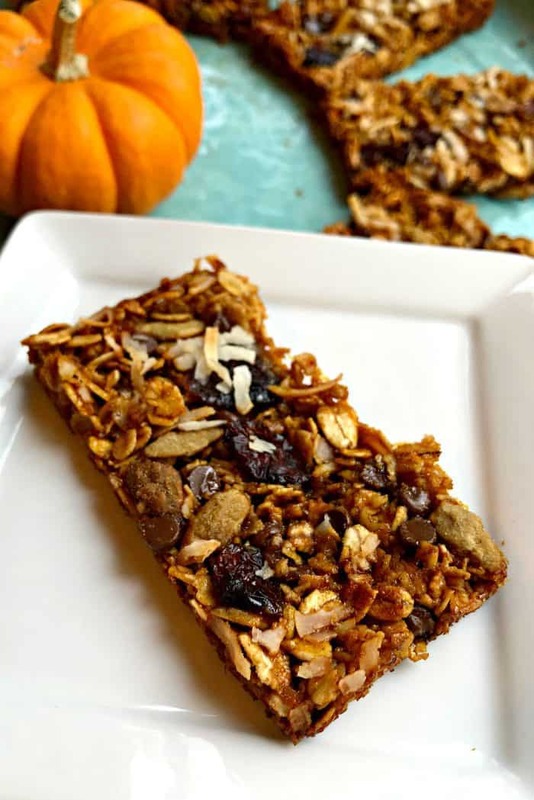 The great thing is you control the ingredients in your bars as opposed to many of the unhealthy granola bars in the grocery stores. I will definitely be making these. Thank you for sharing the recipe as well as informing us about Pampered Chef’s program to help out schools!